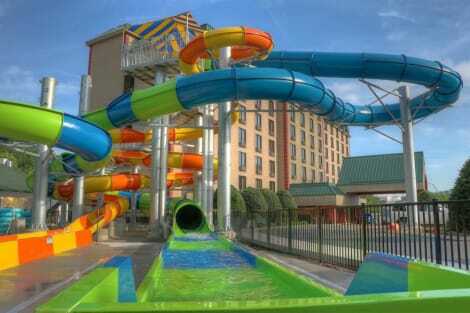 This Pigeon Forge, Tennessee hotel is 1.6 km from Titanic Museum and 8 km from Parrot Mountain and Garden of Eden. 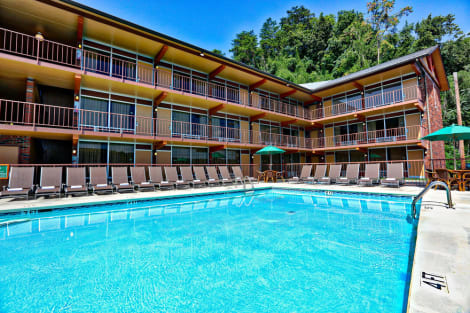 Spirit of the Smokies guests will enjoy indoor and outdoor pools. 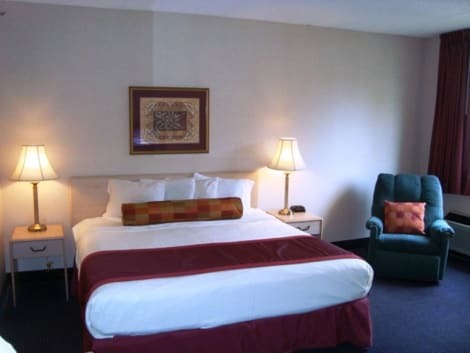 All rooms are non-smoking and feature a flat-screen cable TV, microwave and small refrigerator. Some rooms also offer a balcony, spa bath and fully equipped kitchenette. 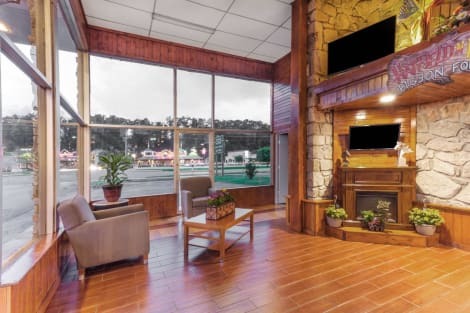 Free WiFi and a game room are offered at Spirit of the Smokies Pigeon Forge. There are on-site shops and vending machines for those last-minute purchases. Hollywood Wax Museum Pigeon Forge is 5 minutes' walk from the hotel, while Tanger Outlet Sevierville is 2.4 km away. Gatlinburg city centre is 14.4 km away. Make yourself at home in one of the 116 air-conditioned rooms featuring refrigerators. Complimentary wireless Internet access keeps you connected, and cable programming is available for your entertainment. Conveniences include safes and coffee/tea makers, as well as phones with free local calls. Make yourself at home in one of the 136 air-conditioned rooms featuring refrigerators and flat-screen televisions. Complimentary wireless Internet access keeps you connected, and cable programming is available for your entertainment. Private bathrooms have complimentary toiletries and hair dryers. Conveniences include desks and microwaves, as well as phones with free local calls. A complimentary hot/cold buffet breakfast is served daily from 7 AM to 9:30 AM. Make yourself at home in one of the 60 air-conditioned rooms featuring refrigerators and microwaves. Your room comes with a memory foam bed. Complimentary wireless Internet access keeps you connected, and cable programming is available for your entertainment. Private bathrooms with shower/tub combinations feature complimentary toiletries and hair dryers. lastminute.com has a fantastic range of hotels in Pigeon Forge, with everything from cheap hotels to luxurious five star accommodation available. We like to live up to our last minute name so remember you can book any one of our excellent Pigeon Forge hotels up until midnight and stay the same night.